Eurobank offers its individual clients modern and innovative banking products tailored to their needs and expectations. 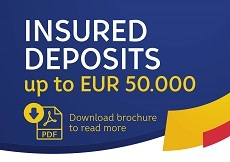 Relax and enjoy the safe support of one of the largest banking groups in New Europe. Use the privileges of your Eurobank account! Save with the bank that offers you a combination of flexibility, higher interest rates on the deposited amount and maximum security. Eurobank developed several types of loan products for serving your special needs. It's time to say Yes to our mortgage loan, simple procedure and Mortgage Loan advisor at your disposal in every branch of Eurobank. Enjoy the benefits of cashless payments by using Eurobank credit cards! Eurobank as the legal follower of the Nacionalna štedionica is servicing the conversion of foreign currency into bonds of Republic of Serbia and payment of due rates to clients of the banks which are in procedure of bankruptcy or liquidation. Contact us on officeabcxcbaeurobank.rs or visit nearest Eurobank branch and check it out yourself!